Want to get your hair and makeup done by an Emmy Award-winning professional? Then head on over to Nikita’s Salon in the lower level of the Galaxy mall and make an appointment with Michelle Dejesus, who picked up her first Emmy during the 61st annual NY Emmy Awards Gala on Saturday April 14 at the Marriott Marquis. 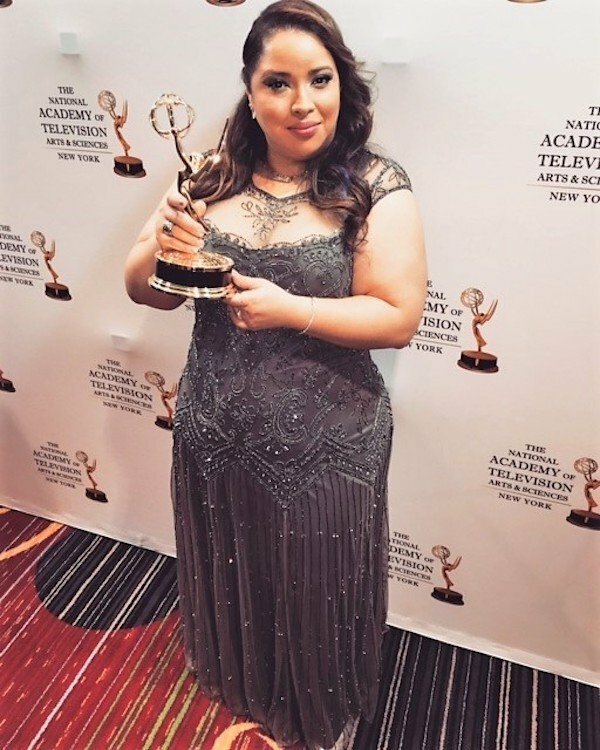 Michelle won in the category of “Craft Specialty: Makeup” for her work with WNJU Telemundo 47, where she plies her trade five days a week, preparing news anchors and others for broadcast. Her day starts long before dawn in the network’s Fort Lee studio, where she has been working for close to five years. Then in the late morning she heads to Nikita’s for job number two: serving the customers of Guttenberg and vicinity. Although Michelle initially pursued a career in accounting and took a job at a pharmacy in Fairview, those were just detours on her real career path. 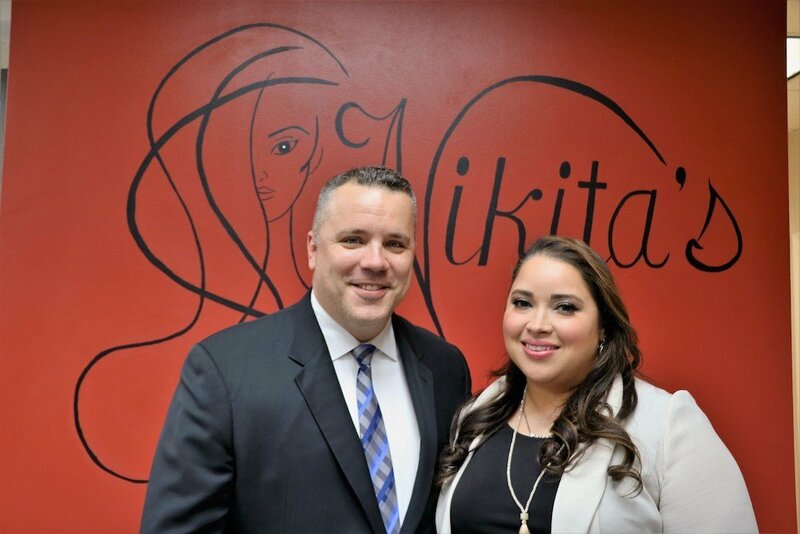 She was always interested in hair and makeup and began by working on friends at home while still a teen, going on to get her license and a degree in cosmetology at Teterboro. Then about 2008 she started working in the salon in the Galaxy mall. Five years ago the salon changed hands and became Nikita’s. Michelle stayed, along with her loyal customers. Michelle’s boss, salon co-owner Pam, accompanied her to the gala awards and couldn’t have been happier about the win, proudly displaying a congratulatory poster in the window of the shop. The Emmy victory came as a huge surprise to Michelle. “My colleagues pushed me to submit,” she said, but she had her reservations. “I said no, that’s for people with more experience.” Eventually she relented, however, and entered one submission – at which point she was informed that first-time nominees simply don’t win awards.